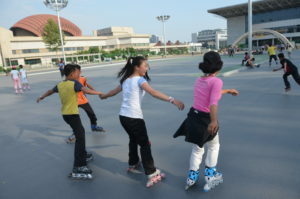 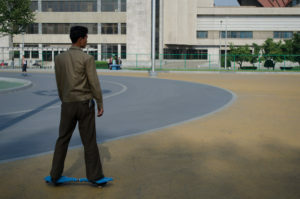 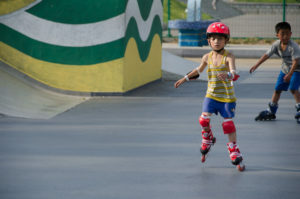 A roller skating rink located by the People’s Outdoor Ice Skating Rink and Ryugyong Health Complex along the Eastern bank of the Taedong River. 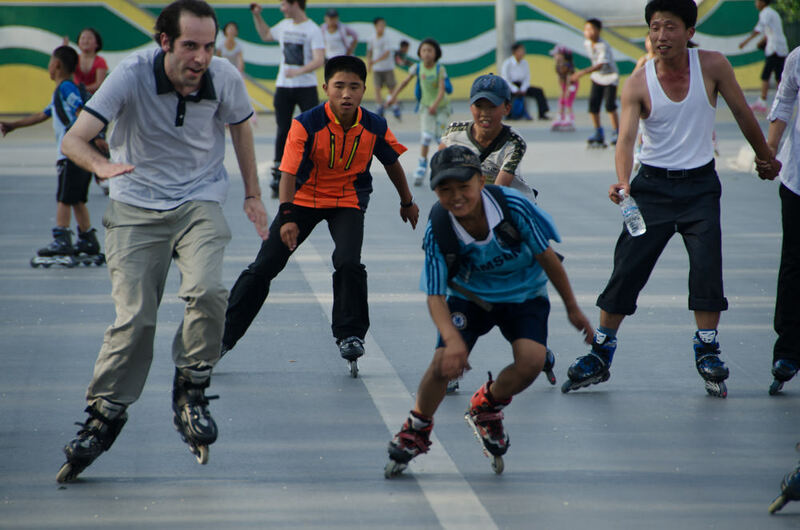 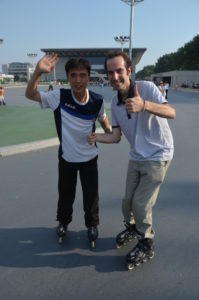 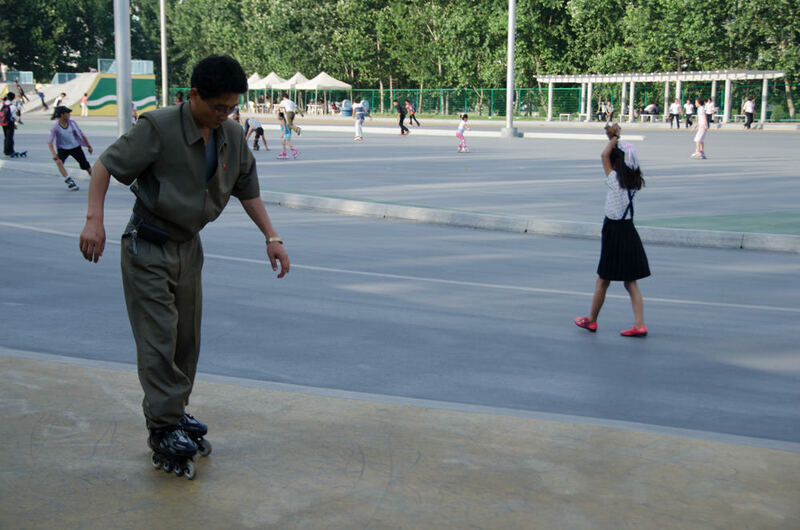 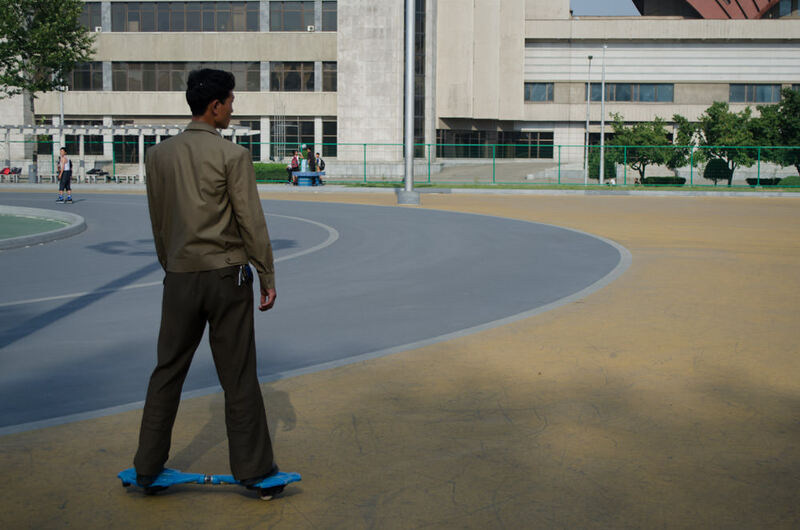 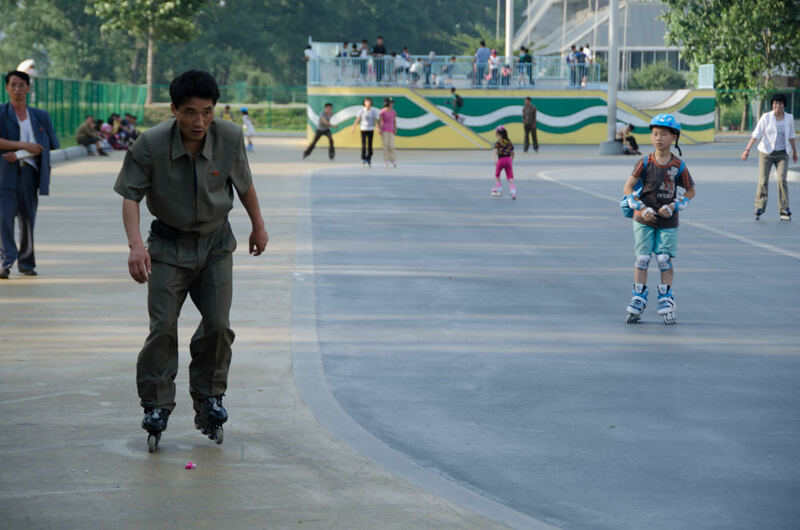 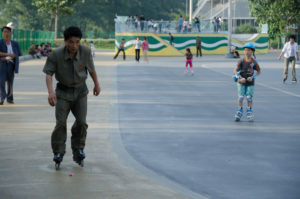 Rent a pair of skates and enjoy some roller blading with the Koreans. 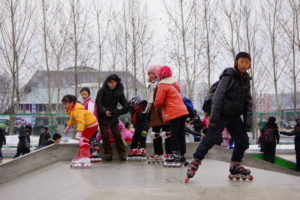 A good place to mix with locals, and especially popular among children. Some of the kids here make it look easy, but use the ramps if you dare! 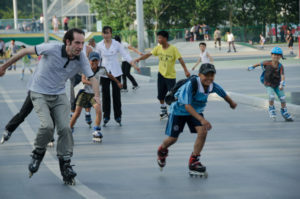 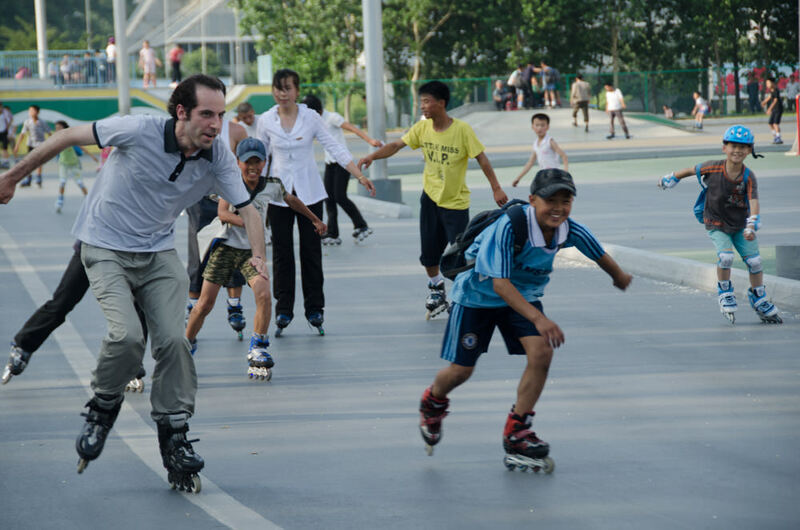 $5 USD to skate, also payable in euro or Chinese yuan. Sundays are a good time to rub shoulders with the locals here. 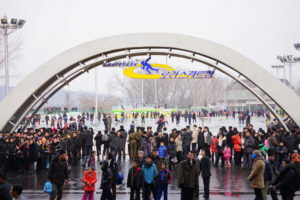 Opened in 2012 with the ice skating rink and the health complex it is attached to. 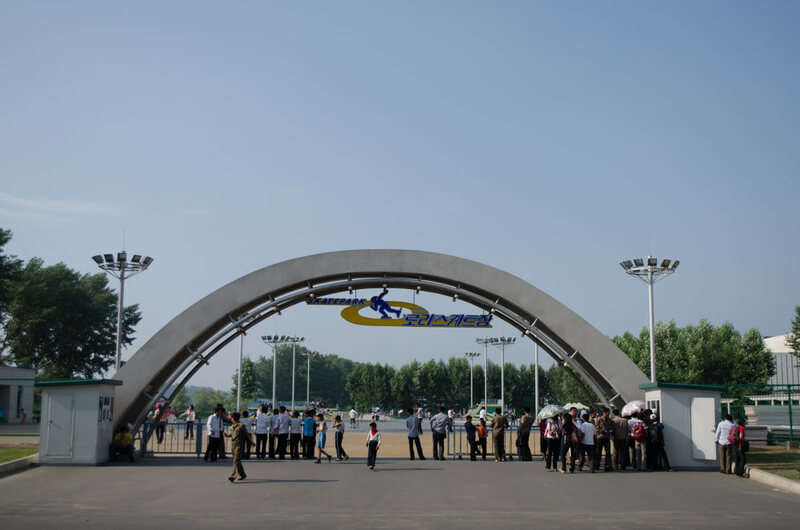 This was built as a part of an emphasis that Kim Jong Un placed on sports and physical recreation soon after he first came into power. 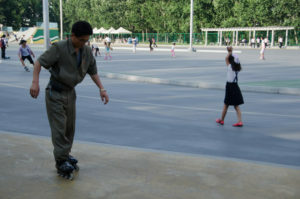 It was accompanied by the construction of similar skate parks all over the country, and basketball courts too.